NOTE: This review covers the extras on three discs separate from the main series, and a book accompanying the collection. For the review of the TV series, see Part 1. Having reviewed the TV series, I’m now going to discuss the other material that is included in this extensive collection – and most of these extras are indeed good. The first two discs are OVA adaptations of the TV series, covering just the main plots. The first adapts the “Laughing Man” case in the first series, and the second the “Individual Eleven” story in Season 2. Having already touched on the plots of both of these stories in Part 1 of my review, I won’t repeat myself in terms of what exactly these stories are about. What I will say is that overall I prefer this way of telling the main story. You can of course go back and watch the individual episodes, but for the main meat of the series, this is preferable. They are more like films, and to me that makes the experience more enjoyable. The most notable difference between the two versions however appears to be the subtitles. The subtitles in the OVAs are rather more direct, in that it feels as if they have just been copied and pasted in from the printed script, e.g. when you hear a computer bleeping the subtitles come up to say (COMPUTER BLEEPS). You also get (INDISTINCTIVE CONVERSATIONS) and (SINGING IN JAPANESE) – the last one of which is rather annoying. In this scene, at the end of the “Individual Eleven” story, the Tachikomas are singing as they carry out a mission, but in the TV version all the lyrics to the song are translated, whereas this not the case in the OVA. These subtitles however do have some advantages. Namely, if you don’t see a character’s mouth moving, the subtitles will say who is speaking in order to avoid confusion. The third disc is an entirely new story. Solid State Society is set a few years after the events of the TV series, and the Major has left Section 9. The group, which now includes some new agents, is investigating the case of the “Puppeteer”, an incredible hacker who appears to be making people commit suicide and is behind a series of child abductions. 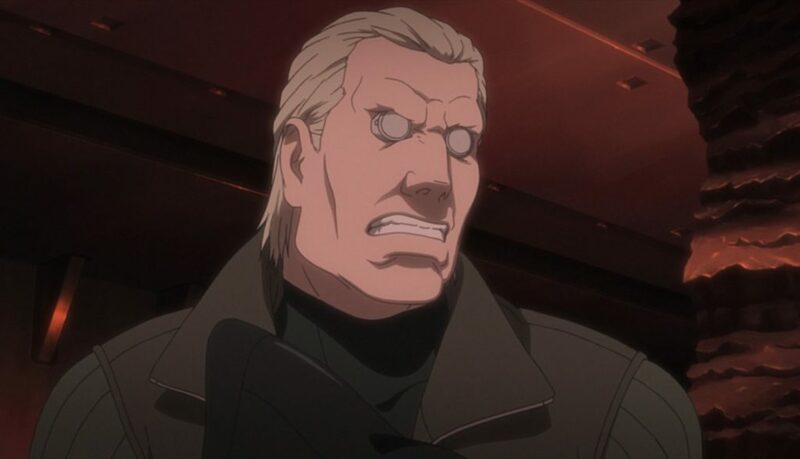 While Batou is investigating the case, he meets the Major again, and begins to wonder if she might be the Puppeteer. 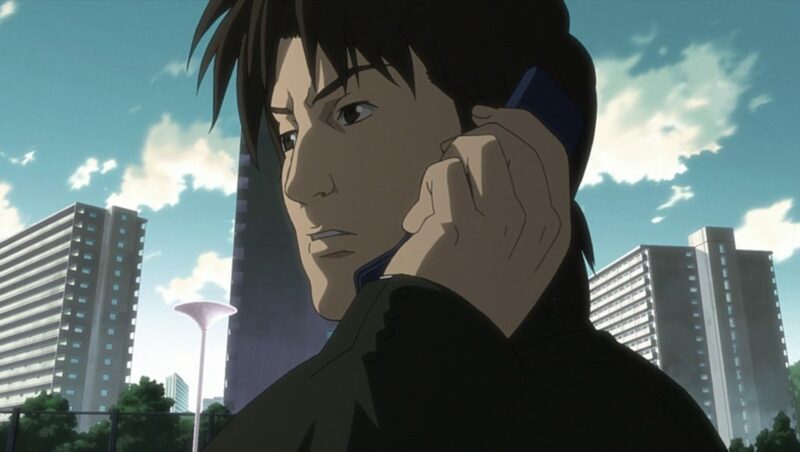 The story is rather cool in the way it deals with Section 9 following the Major’s departure and how the other characters have developed, with Togusa becoming more cyberised for example. The plot is well written and the action nearing the end is exciting too. Admittedly there are one or two issues. There are typos in the subtitles for example, with “I’ll” being spelt without the “I” at one point. Another issue is when in one scene Togusa gets a phone call from his wife where she says: “Our daughter is missing!” Now, I’m not a parent, but I think if I did have a child that went missing and I told my spouse about it, I would probably refer to the child by name rather than how they are related. Instinct would tell me the name would be more likely to gain the attention that is clearly needed in a situation like this. While the first two OVAs have little in the way of extras, namely some interviews and the “Tachikoma Days” shorts, the Solid State Society disc has these and much more, including trailers and details of the design process behind the OVA. However, for me the most interesting extra in the entire collection is the 138-page book that accompanies the box set. 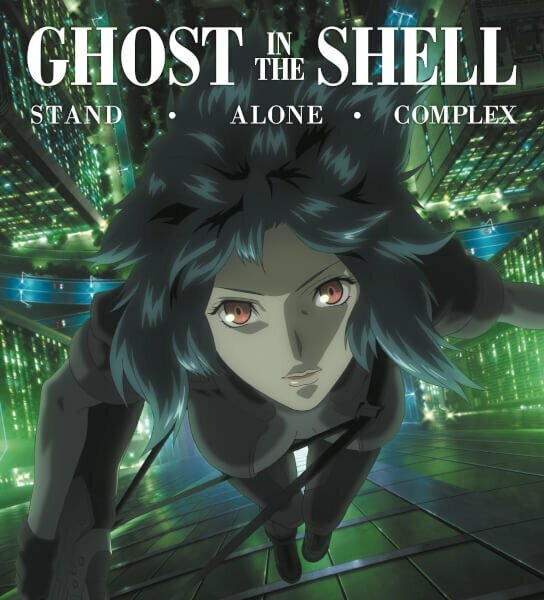 Not only does it include a detailed guide to all the episodes and characters, but there is also a history of the cyberpunk genre, profiles of GitS creator Masamune Shirow and the production team, and a look at the world in which the story is set. This is especially useful if you have trouble understanding the sometimes complex plot. 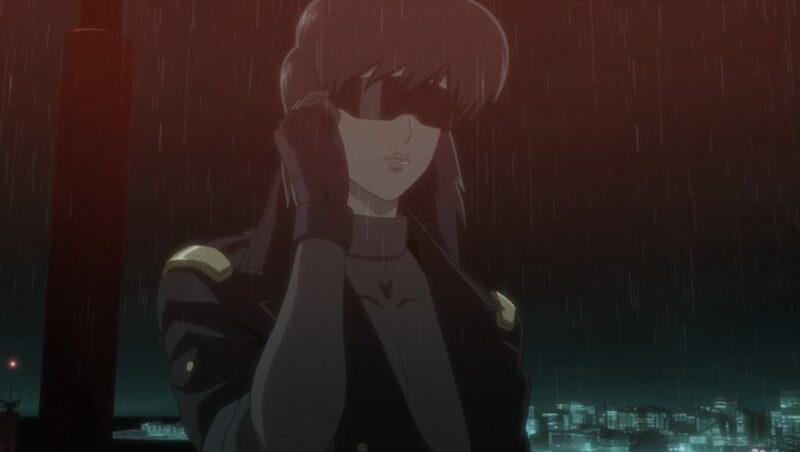 The world of GitS is set after another two world wars, the fourth reportedly happening in 2015, while the Major was born between the wars in 2003 (so happy 15th birthday this year Major, depending on the exact date). There is also a Mexican War in 2020 and a Second Korean War in 2024 – and the rate Trump is going, those may well happen. There are also some other interesting pieces of trivia to come across when reading the book. Something I wasn’t aware of is that Akio Otsuka, the actor who voices Batou, is also the actor who dubs Arnold Schwarzenegger into Japanese. Thus, in a roundabout way Arnie has played two futuristic cybernetic organisms on screen. That being the case, why wasn’t he cast in the Hollywood adaptation of GitS? If the entire setting of the film had been transposed from Japan to America and the entire cast had been westernised, similar to how Seven Samurai was turned into The Magnificent Seven, there might have been less of an issue with it. Taking this and the TV series into account, I know that my review of Part One may have been too harsh. However, the extras do make Stand Alone Complex much more enjoyable. Everything is distilled in a much better form, and there is plenty of information to help you understand the setting. The extras thus do make this collection worth it.